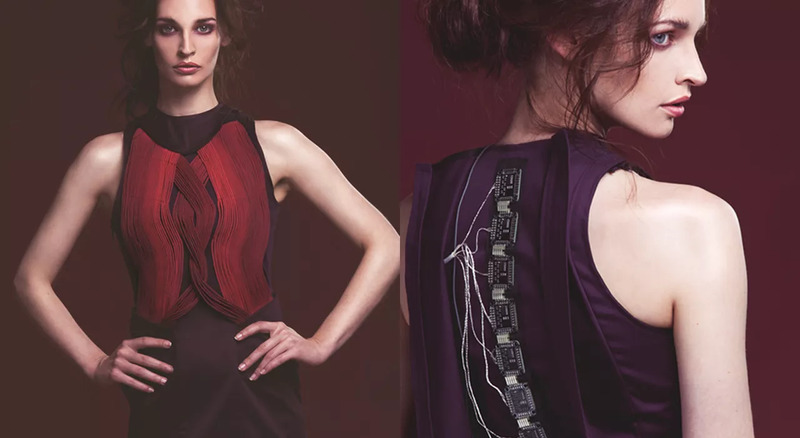 Kimbow Dress Uses Color Changing Yarn for Confidence #WearableWednesday « Adafruit Industries – Makers, hackers, artists, designers and engineers! Not to get all biomimicry, but I love when lizards show off their red throat flaps, so you can see why I would be excited by this dress I found on Springwise. Named Kimbo (like in standing “akimbo”), the simple gesture of placing hands on hips creates a beautiful brightening of the red yarn across the chest in a fanned out pattern. It’s a collaboration between Eef Lubbers and Malou Beemer, and gets it’s origin from communicating emotions through fashion, in this case confidence. The yarn has been treated with thermochromatic ink, so when heat is applied, the different strands of yarn appear to get more vibrant. Check out the beautiful ripple effect in their video. The strands are addressable thanks to a string of controllers arranged on a band of webbed fabric on the back of the dress. I really like how the designers chose to create a cable knit style pattern with the yarn in the center of the dress, which is often found on classic sweaters. With a jacket, this dress could easily make it’s way to the office, a place where confidence is often needed. This idea of conveying emotion is something other designers are working with as well. It’s not just the pleasure of having your clothing communicate, but it also has uses for those that have difficulty communicating, whether it be people who have lost their speech or people who are autistic. Having a physical representation of an emotion can be a good educational device and lead people to be more mindful. 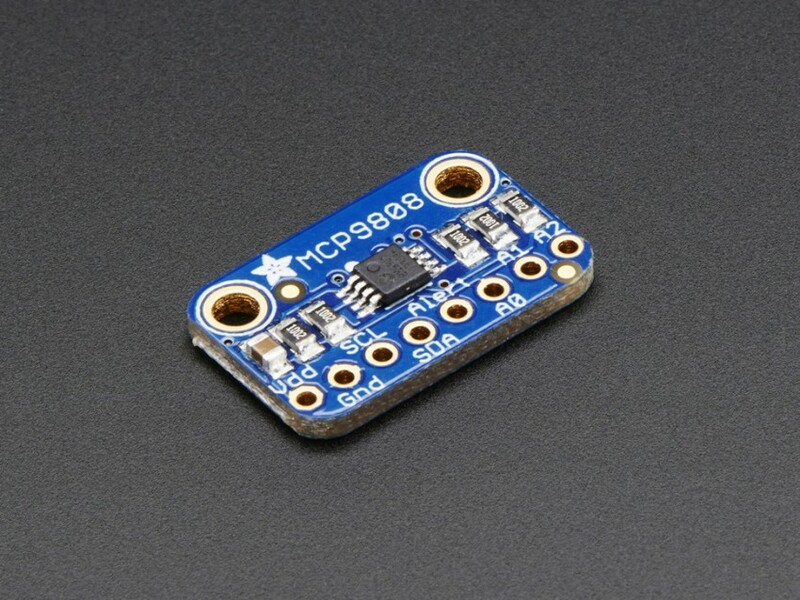 If you are inspired to have your clothing communicate like a mood ring, then think about attaching a temperature sensor to a FLORA microcontroller. Add some NeoPixels and you can have lights that change color based on different body temperatures. What color represents happiness and what about nervousness? Have fun outing your emotions through fashion.